Ultrasonic spray atomizers use the energy of ultrasonic waves to break up water or liquid to form tiny particles of several micrometers to several tens of micrometers, which are used for humidifying air, liquid granulation, mixing, promoting chemical reaction, spraying, Metal melt milling and other purposes. 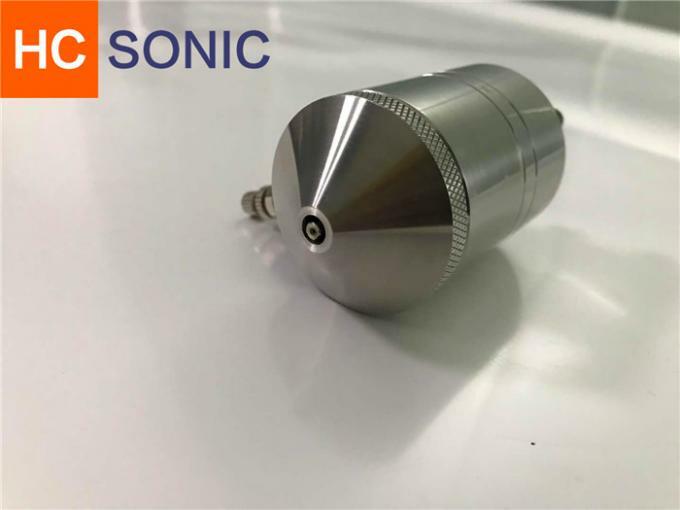 Ultrasonic nozzles are a type of spray nozzle that uses high frequency sound waves produced by piezoelectrictransducers acting upon the nozzle tip that will create capillary waves in a liquid film. Once the amplitude of the capillary waves reach a critical height (due to the power level supplied by the generator), they become too tall to support themselves and tiny droplets fall off the tip of each wave resulting in atomization. The primary factors influencing the initial droplet size produced are frequency of vibration, surface tension, and viscosity of the liquid. Frequencies are commonly in the range of 20-180 kHz, beyond the range of human hearing, where the highest frequencies produce the smallest drop size. This device allows the regular production of uniformly sized droplets, whilst consuming very little energy. The electronic generator drives an ultrasonic nozzle or ultrasonic sprayer. The electrical energy supplied by the generator is transformed by the nozzle / transducer into vibrations. The liquid passes through the orifice at the centre of the sonotrode, and is sprayed in micro-droplets when it is in contact with the vibrating surface. Ultrasonic spray nebulizers also have an outstanding advantage in that they can operate at high temperatures of hundreds of degrees, with temperatures up to 500 °C. Therefore, it can be used for metal powder production, and the process is simple and efficient. 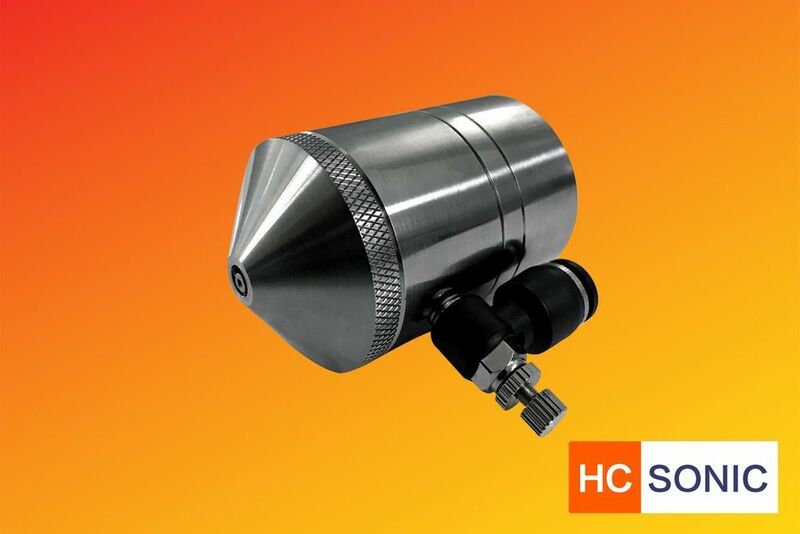 Through the different design of the spray head, he can adapt to a variety of different milling requirements. From the rapid and simple small-scale milling in the laboratory to the large-scale industrial milling of the production line, it is possible to achieve. We offer a full range of ultrasonic spray nozzles with different spray patterns, flow rates and droplet sizes. Whether you are coating a small medical device such as a drug eluting stent, coating the inside of a blood collection tube or depositing a thin film onto a fuel cell, we can offer the correct solution for your process. Here are some of our most popular offerings. Contact us for a more comprehensive list. The ultrasonic coating machine designs is Custom based. We custom design, software and hardware in accordance to customers' needs. We welcome the hardest challenges. facilitating / anticipating future developments owing to the flexibility of our equipment.